Barbie Chelsea's Clubhouse Play Set On Clearance For $10.00 + FREE Store Pickup (Reg. $20)! 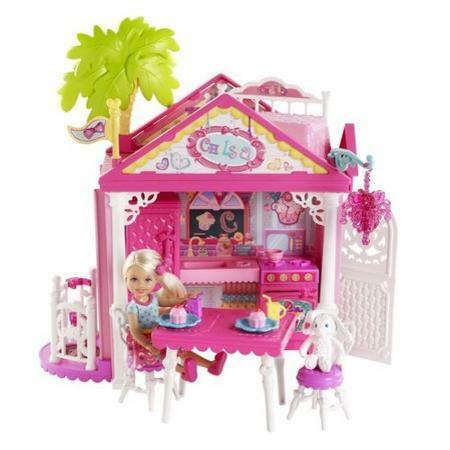 You are here: Home / Great Deals / Barbie Chelsea’s Clubhouse Play Set On Clearance For $10.00 + FREE Store Pickup (Reg. $20)! Barbie Chelsea’s Clubhouse Play Set On Clearance For $10.00 + FREE Store Pickup (Reg. $20)! Hurry and snag this Barbie Chelsea’s Clubhouse Play Set On Clearance For $10.00 + FREE Store Pickup (Reg. $20) and stash it in the gift closet!